ITEM: Color Aluminium Door Sill Scuff Plates Set (Inside+Outside) for 2011-2015 Chevrolet Capti.. 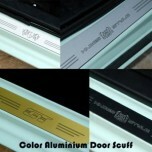 ITEM: Color Aluminium Door Sill Scuff Plates Set (Inside+Outside) for 2011-2014 Chevrolet .. ITEM: Color Aluminium Door Sill Scuff Plates Set for 2011-2014 Chevrolet Cruze MANUFACTURER&nb.. ITEM: LED Aluminium Door Sill Scuff Plates Set for 2011-2014 Chevrolet Cruze MANUFACTURER .. ITEM: Color Aluminium Door Sill Scuff Plates Set (Outside) for 2017~ Chevrolet All New Cruze M.. ITEM: Color Aluminium Door Sill Scuff Plates Set for 2011-2014 Chevrolet Malibu MANUFACTURER&n.. ITEM: LED Aluminium Door Sill Scuff Plates Set for 2011-2014 Chevrolet Malibu MANUFACTURER&nbs.. ITEM: Color Aluminium Door Sill Scuff Plates Set (Inside+Outside) Set for 2011-2014 Chevrolet O.. 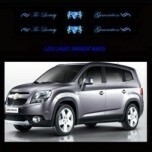 ITEM: Color Aluminium Door Sill Scuff Plates Set for 2011-2014 Chevrolet Orlando MANUFACTURER&.. 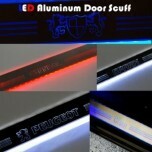 ITEM: LED Aluminium Door Sill Scuff Plates Set for 2011-2014 Chevrolet Orlando MANUFACTURER&nb.. 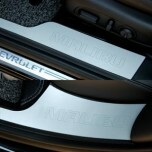 ITEM: Luxury Generation Chrome LED Door Sill Scuff Plates Set for 2011-2013 Chevrolet Orlando .. 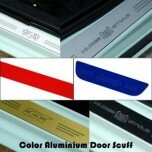 ITEM: Color Aluminium Door Sill Scuff Plates Set for 2011-2013 Chevrolet Spark MANUFACTURER : .. ITEM: Color Aluminium Door Sill Scuff Plates Set (Inside+Outside) Set for 2015-2016 Chevrolet The Ne..